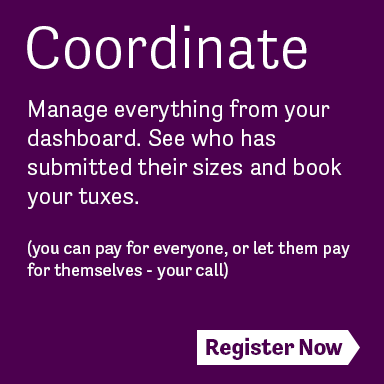 We’ve made it as easy as possible to manage your wedding tuxedo rental. Read on to find out how you can save time and money – don’t forget: registering today locks in our $60-OFF promotion forever! If you’re not ready to register: you can also start by building a tuxedo and creating your account when you save your design! Browse for the perfect tux at your own leisure. There are no pushy sales-people to rush you through your decisions – sit with your spouse and find the perfect formal wear for your wedding. When you find something you like, save it to your account. 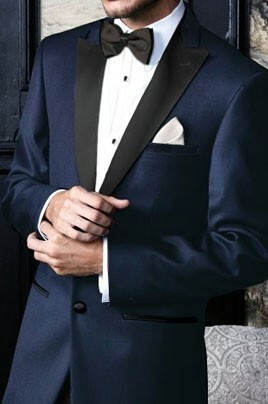 You can then assign the tuxedos you save to the people in your wedding. The Group Tuxedo Manager puts you in the driver’s seat – you get to customize every tuxedo to your heart’s desire, and easily save it to your account. You can customize the individual look of every person in the party, empowering you to let the groom stand out with a contrasting or complementary color that differs from the rest of the group. 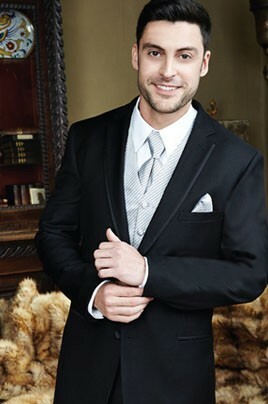 The following tuxedo styles are very popular with our wedding customers. 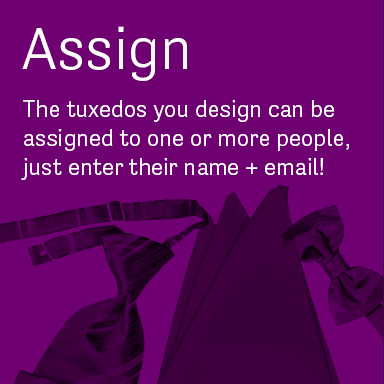 Click on any style below to view it in the tuxedo builder. 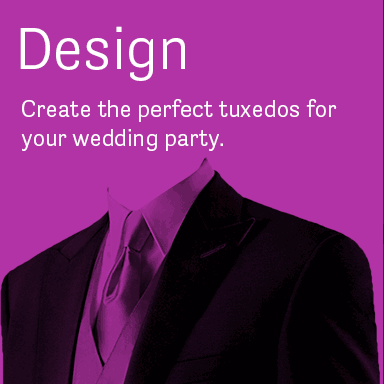 You’ll be able to save your tux and add it to your wedding account when you’re done selecting your styles.